Euro is still being corrected. My yesterday’s buy order is in the red a bit. In the near term, the pair is expected to start a new ascending movement towards the upper targets, the main of which is at the level of 78.6%. 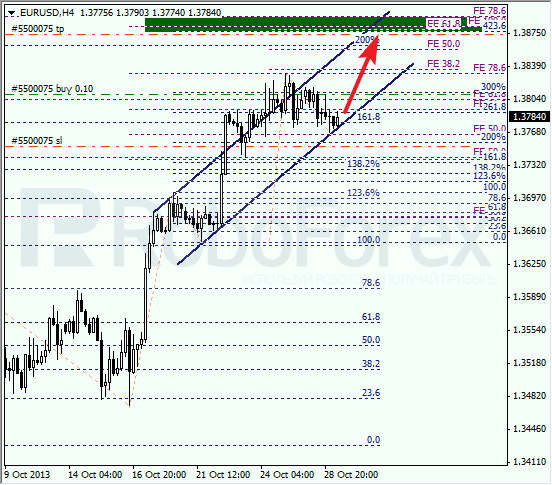 At the H1 chart, the target has almost reach the local correction level of 38.2%. We may assume that the temporary fibo-zones indicated the exact point where the price completed the correction. Later, the pair is expected to continue growing up towards the next target. Franc is also being corrected. 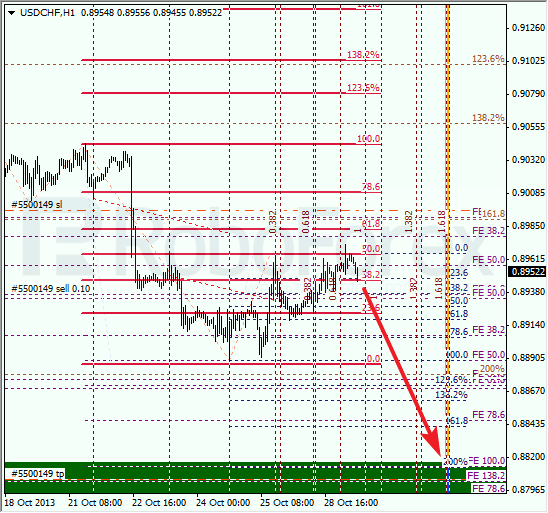 The target is still at the lower levels (including the level of 61.8%, local extension). I’m planning to increase my short position as soon as the price starts a new descending movement. At the H1 chart, Franc is testing the correctional level of 50% for the second time. If it rebounds (it looks like it is going to happen), the bears will start a new descending movement. According to the analysis of the temporary fibo-zones, the predicted targets may be reached by Thursday.